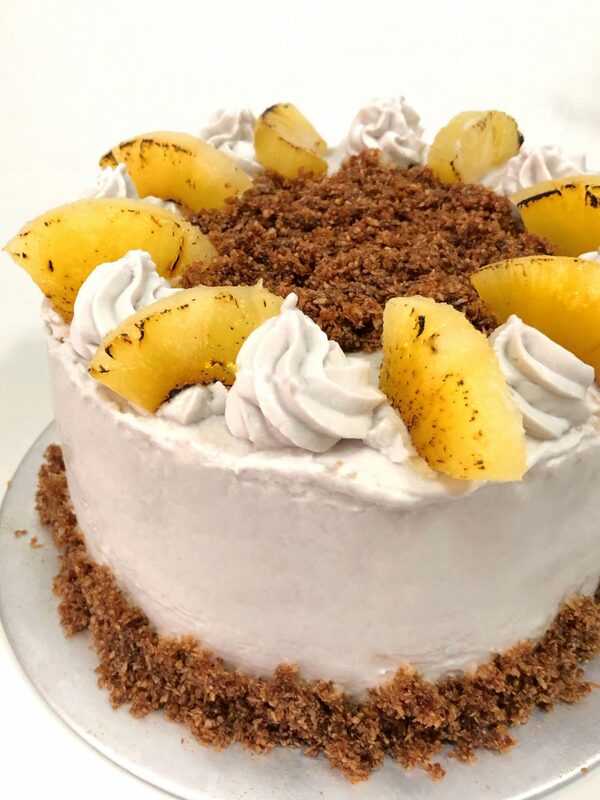 Have you tried making a Coconut Related Cake before? I have not and this has got to be my first attempt at making a Coconut Cream Cake. When Ayam Brand Singapore sent me some of their products to try, I was greatly inspired to make a coconut related something. Their coconut milk and coconut cream are 100%, making them taste almost close to what you get from the real coconut. They are also free from preservatives and have no coloring or flavoring added. This Coconut Cream Cake shouts Coconut in all ways. It’s made by mixing in coconut milk to the cake batter and baking it resulting in a moist tender cake that taste so coconutyy. If that is not enough, I also whipped up a delicious silky coconut cream frosting to spread in between the cake layers. 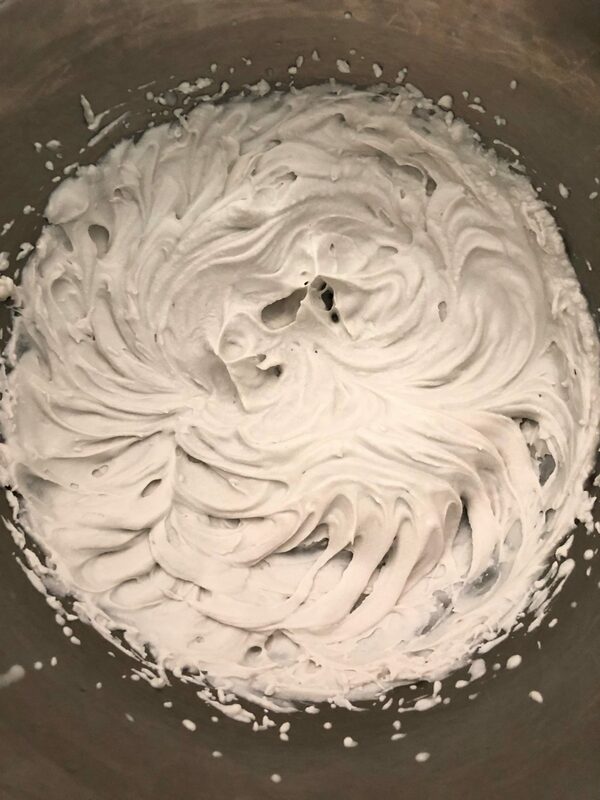 This Coconut Cream is so simple to make, even I was amazed at how fast it took to get me a cream suitable for frosting. 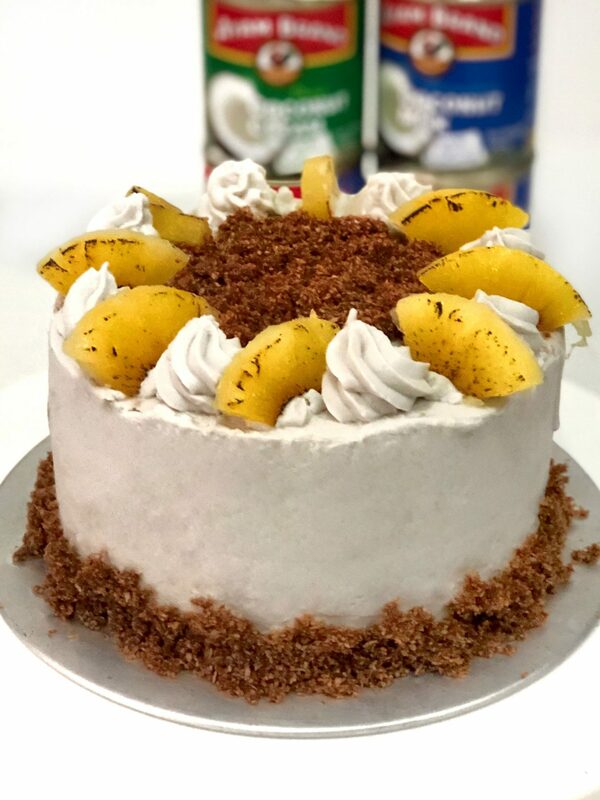 The picture above is made using two cans (270ml each) of Ayam Brand Coconut Cream. All you have to do is refrigerate the can overnight or at least 24 hours so the cream becomes solid. Remove the solid portion of the cream into a bowl and discard the leftover watery liquid that sinks to the bottom. Add a little icing sugar ( I used around 1/4 cup) for each can. Then whip whip whip using an electric mixer. Frosting should come together very quickly.. Less than a min for sure. VIOLA! 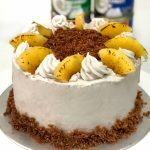 You get this amazing smooth delicious coconut cream frosting that goes well with alot of desserts. See those brown crumble like thing at the side of the cake as well as the top of the cake? They are actually Gula Melake Dessicated Coconut. 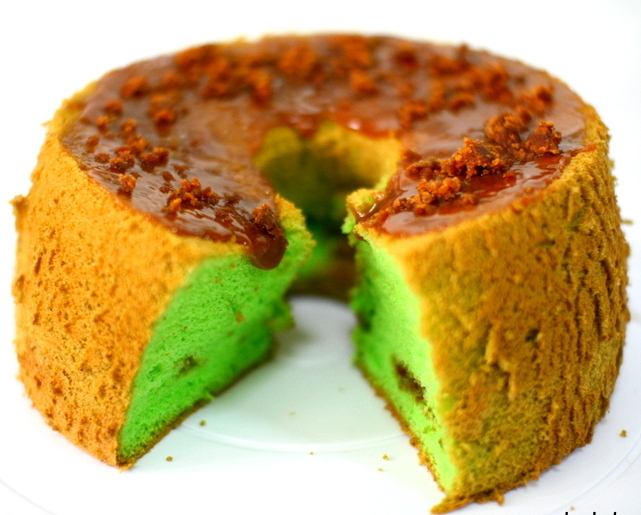 Well we all know by now that Gula Melaka and Coconut are a match made in heaven. I wanted to ( All the time actually) combine gula melaka with coconut so i drizzled some Gula Melaka syrup on dessicated coconut shavings and mix them thoroughly. 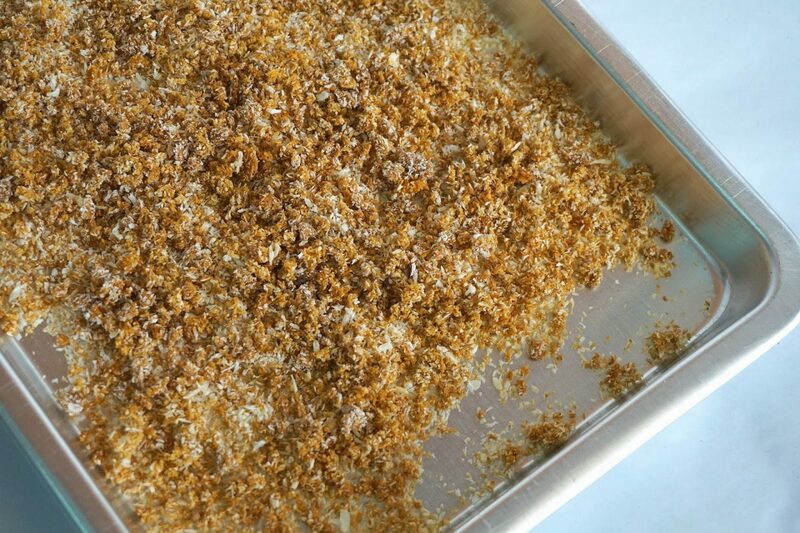 You can also make a Crunchier version where you toast them in the oven for a few mins. The SMELL IS FANTASTIC!! 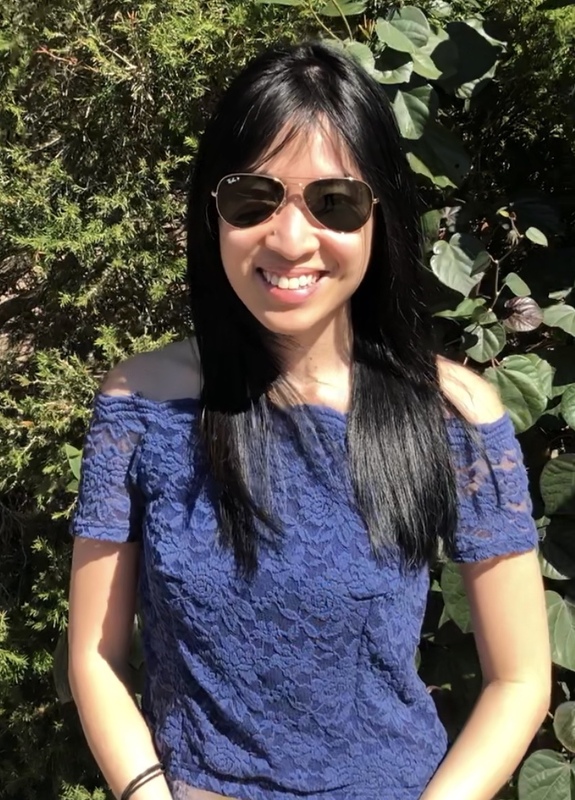 So have i enticed you to make some Coconut Cake? I promise you’ll love it. Head further down for the recipe! Feel free to hashtag #sherbakes or tag me on Instagram @sherbakes so I can see all your yummilicious desserts if you make them! Line the bottom of three 6" inch round cake pans with parchment paper. Preheat oven to 350 degrees F or 175 degrees Celcius. In a separate mixing bowl, beat the butter on medium speed with a hand mixer for 1 minute, until light and fluffy. Add sugar and mix 1 minute. Add coconut milk and mix until combined. In another bowl, beat egg whites with cream of tartar until stiff peaks form. Fold the egg whites gently into the batter in 3 additions until incorporated. Divide batter evenly between the pans. 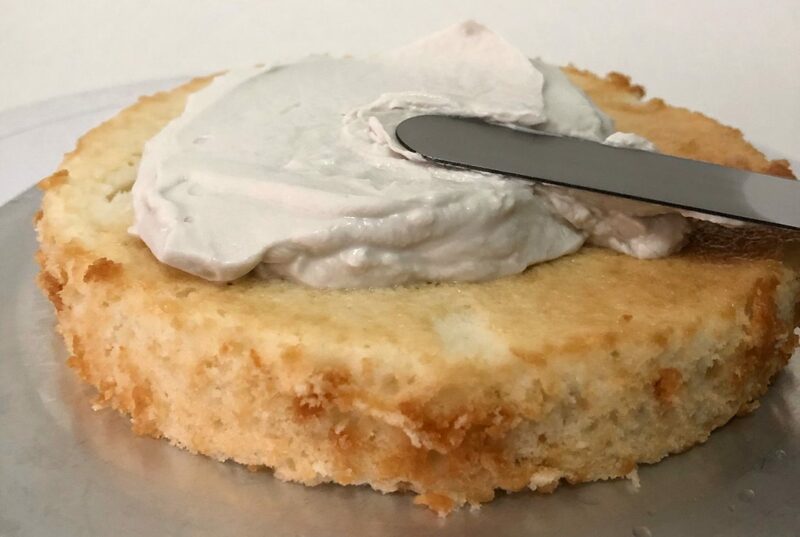 Bake for 25 minutes, or until a toothpick inserted in the center of the cake comes out clean. Add all ingredients to medium saucepan over medium heat. Stir well to combine. Cook, stirring frequently, until mixture thickens and looks "glossy", about 5-8 minutes. 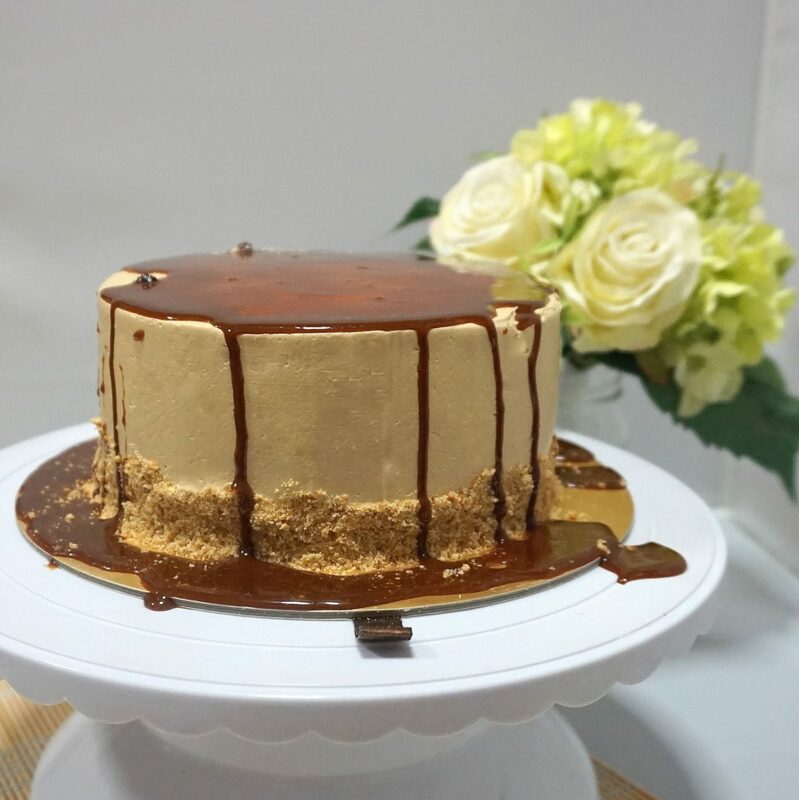 Place your first cake layer on your cake board. 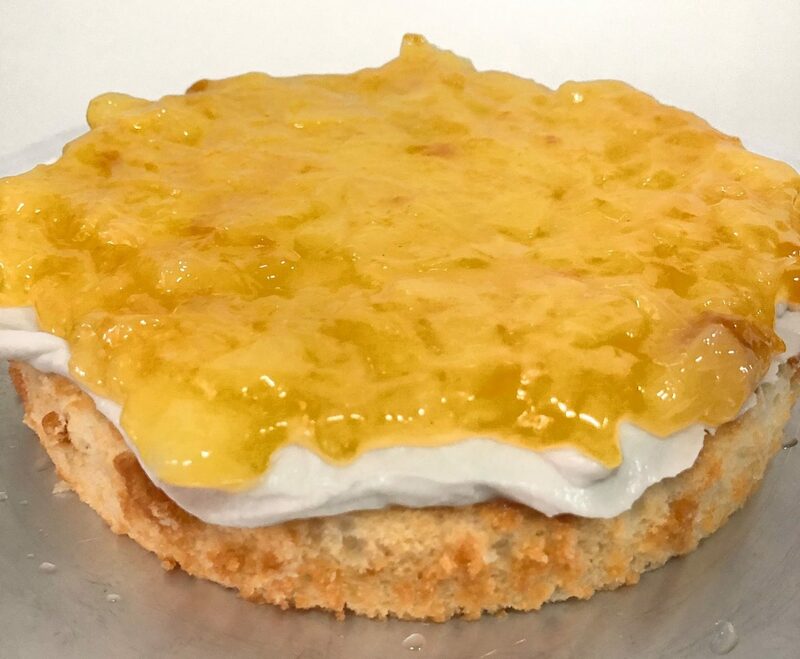 Spread one layer of coconut cream frosting on it and then half of the pineapple filling over it. Top with another cake layer. Smooth a layer of frosting over it and then pineapple filling. Top with last cake layer. Frost the sides and top of the cake. Chill completely before consuming. Cake taste better the next day.